I am very critical about the overtesting which is so rampant in IVF today. This leads to overtreatment , and ends up wasting a lot of time and money , because no one really knows how clinically useful a lot of these test results are. Just because tests make logical sense on paper doesn't mean that this logic always translates into clinical benefits. The sad fact is that real life can be quite messy , and what sounds very sensible in theory often does not work out well in practice . I recently saw a patient who had failed multiple ICSI cycles. His doctor had told him that this was because of his high sperm DNA fragmentation, and that we would need to use donor sperm. I have a very low opinion of these sperm DNA fragmentation tests . They are of very limited utility , and have not been validated in clinic practice, because of the huge problem with false positives they suffer from. He challenged me. Doctor, if you are so skeptical about these latest and newest cutting-edge tests, then how will medicine possibly advance ? Don’t we need to run tests to find the “root cause” of the problem ? Don’t we need to know the answer to the question – Why did the cycle fail, so we can improve our chances with the next attempt ? I have nothing against new tests. Our IVF clinic is state of the art and we offer all the latest technology, including blastocyst transfer, vitrification, laser hatching, and PGD using CGH. However, we don’t offer tests simply because of their novelty value ! I'm not a Luddite and I'm not old-fashioned . My point is that while some of these tests may be extremely useful in a research setting , they cannot be blindly applied in a clinical setting . Just because a test works in a mouse lab doesn’t mean it will work in real life for human patients . We cannot afford to get carried away by marketing pressures and technological jargon. We need to understand the limitations of these tests before incorporating them into clinical practice . A lot of pressure to overtest comes from the marketing departments of the companies who invent and discover these tests. Also, some of the itch to order tests comes from doctors themselves . Doctors will often indulge in a game of one upmanship ! They all want to be one better than someone else , and one way of doing this is by ordering the latest or the newest test . This way the doctor. can position himself as being state-of-the-art , because he's better informed than the other “old fogeys” whom the patient saw earlier , and who did not have the sense to order the test. This goes to “ prove “ that he's much smarter and has much more expertise than the rest of them , because he read about this test in the latest issue of a medical journal; or saw a presentation at the recent global medical IVF conference. Patients need to be extremely wary about this kind of cowboy approach if they do not want to be treated as unwilling guinea pigs. Sadly, many patients pressurize doctors to order some of these new-fangled tests, because they have read about them on a website or a bulletin board. New is not always better , and it requires a mature and experienced specialist to say - No further testing is needed ! It’s very profitable for the doctor to order these tests, but good doctors know that if the test has not been proven to improve IVF clinic outcomes, then they should desist from ordering them. 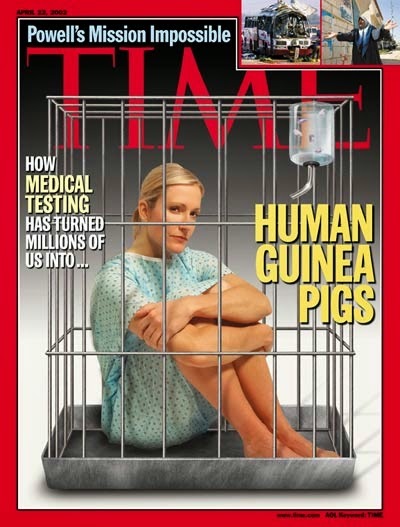 We take pride in the fact that we refuse to treat our patients as guinea pigs !